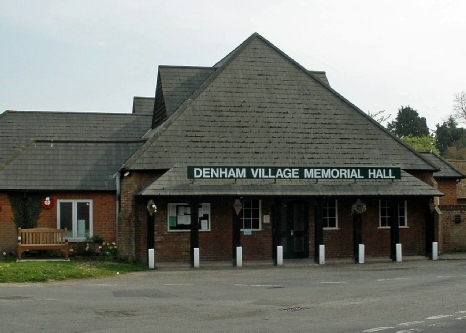 Denham Village Memorial Hall was erected in 1921 as a memorial to all those who fell in the first world war. The Hall provides excellent facilities and is available for hire by individuals and organisations. It is an ideal venue for clubs, meetings, functions, parties and wedding receptions. Film companies are very welcome to use the Hall as a location. The main hall is used by local clubs and societies during most evenings on Monday to Thursday. It is available for hire outside these times.